Body Toning in Abu Dhabi - which is best - free weights or training machines? There has always been a debate about which is better for body toning - free weights or training machines. What do personal trainers in Abu Dhabi think? Body toning - with so many different exercise techniques which is right for you? Walk into any gym in Abu Dhabi and you’ll see a huge range of fitness machines – each designed to work on different parts of the body or some designed to give you a good, overall workout. If you are interested in body toning and working on individual muscle groups are these exercise machines better than using free weights? We asked a professional body toning personal trainer in Abu Dhabi what they prefer to use and why. In the past free weights were often seen as the preferred way to tone and build specific muscle groups because free weights allow you to isolate the muscles for a workout – the biceps for example. However, as time has moved on we now see a whole range of sophisticated and advanced training machines which supposedly offer the same results. From your experience do you think free weights or training machines work better for body toning? Free weights provide a load to which it is more difficult to adapt, which means it is better stimulated to increase fitness. In this regard, the barbell, dumbbells and body weight are the undisputed leaders. Nevertheless, the advantage is at the same time a disadvantage: sometimes it is much more difficult to learn the correct, safe technique of doing the exercises. The advantage of the fitness machines is safety – provided it is used correctly. The fitness machines allow you to localize the load, provide better control of movement, create load vectors that are inaccessible when using free weights. Again, the advantages of fitness machines are at the same time their disadvantages. Restriction of freedom of movement, localization of the load leads to an unbalanced and somewhat one-sided effect, not allowing to fully reproduce the movements that occur in real life. The design of the fitness machines is most suitable for the “average” person, which reduces the effectiveness of their use by people with high / low growth or “non-standard” ratio of the length of body parts. Even simulators with a good adjustment of parameters have some individual limitations of use. Given the advantages and disadvantages, we will designate the scope of free weights and fitness machines. Beginners, especially those who work alone and / or have a low level of readiness for the load, it is recommended to somewhat limit the use of the barbell and dumbbells in training. At the same time, it is necessary to gradually increase the use of free weights by consistently learning the technique of exercises. After learning a safe technique, in most cases, exercises with a barbell, dumbbells and weight should be the basis of the training program. deciding to use free weights or training equipment is often down to personal choice. 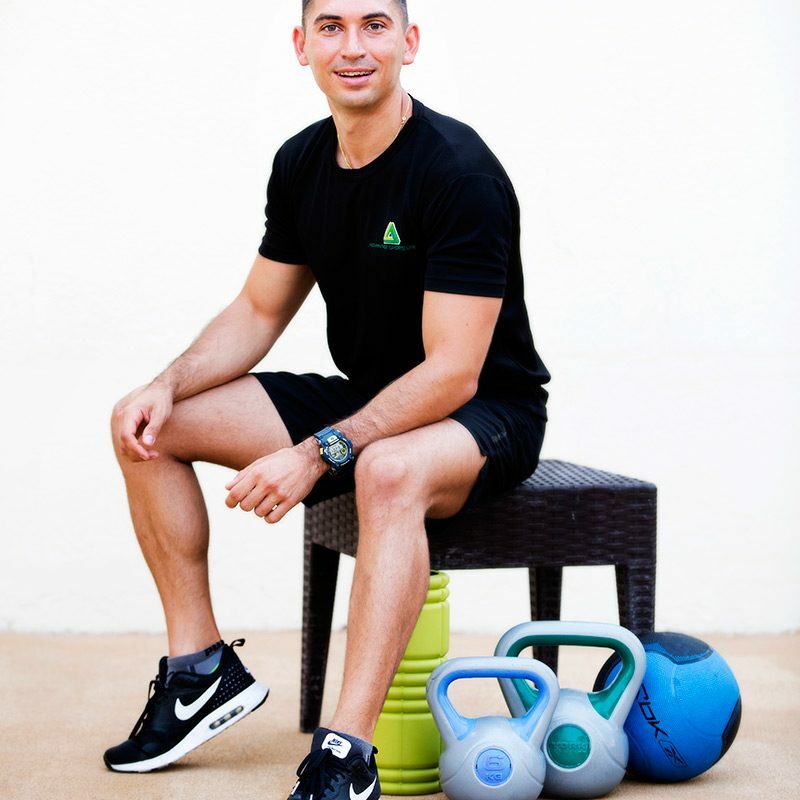 A Personal Trainer in Abu Dhabi can help point you in the right direction for the best results. Andrey is an expert when it comes to body toning and weight loss in Abu Dhabi.